Born in Bremen, Germany. Lives and works in Edinburgh since 1996. 1986-93 Visual Art/Sculpture. Hochschule fuer Kunst und Design Hannover with Prof.Hellinger and Dietrich Klakow. 1978-81 Certified Screen Printer. Guild Apprenticeship in Bremen, Germany. 2017 – ByLeavesWeLive. ArtWalk performance. Fruitmarket Gallery and Engage Scotland. 2017 – Energised Landscape Slow Marathon. ArtWalk performance with Deveron Projects. 2015 – This is your Land. ArtWalk performance with Deveron Projects, Edinburgh Art Festival. 2013 – Fallow Ground – Andrea Geile. The Briggait, Glasgow. 2011 – Subterranea – Andrea Geile. New Town Promenade Exhibition, Edinburgh. 2010 – Andrea Geile. Vancouver Arts Centre. Albany, Western Australia. 2010 – Andrea Geile. RHS Chelsea Flower Show, London. 2009 – Andrea Geile. Invited Artist. RHS Flower Show Tatton Park, Manchester. 2008 – Andrea Geile. The Scottish Gallery, Edinburgh. 2004 – Blossoms – Andrea Geile. Exhibition in the garden of The Hill House NTS, Helensburgh. 1995 – Eisen – Andrea Geile. Gallerie Baku. Hanover, Germany. Since 1994 – More than 15 Public Art Commissions and numerous private art commissions. 2018 – New public art and engagement project in Gilmerton, Edinburgh. Commissioned by Sustrans Scotland. 2017 – ByLeavesWeLive. ArtWalking event in collaboration with Fruitmarket Gallery and Engage Scotland. 2017 – Klorofyllans Flykt. Public art commission and symposium. Fridhems Musik College. Svaloev, Sweden. 2016-17 – Leaf Clouds. Culzean Castle. Public Art Commission. The National Trust for Scotland, PurcellUK. 2016-17 – Energised Landscape project and Slow Marathon. Public Art Commission and walking project with Deveron Projects. 2015 – This is your Land. Public Art Commission. Participatory art walking event with Deveron Projects during EAF. 2015 – The Chlorophylls. Public Art Commission. Lettermore Forest, Isle of Mull. Curated by Comar/An Tobar. 2014 – Tree Tags. 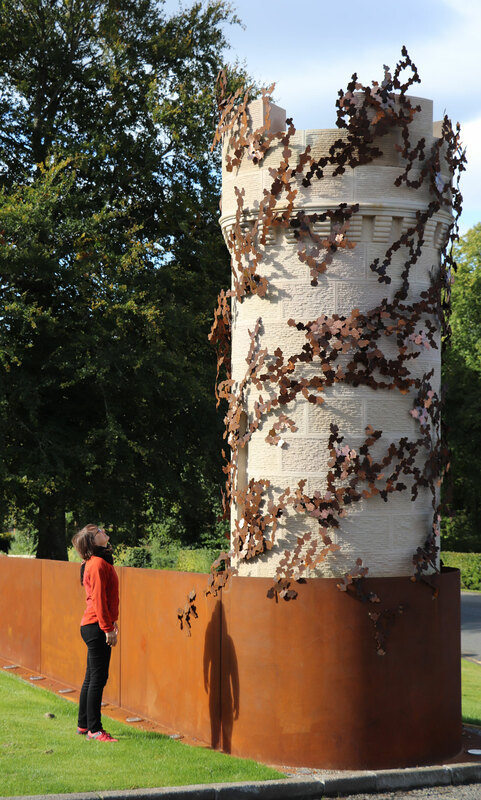 Public Art Commission in Pilrig Park, Edinburgh. Funded by Kew Gardens and Grow Wild UK. 2014 – Planning phase for Public Art Commission in Sculpture Courtyard at Sculpture Museum in Germany. 2013 – Pylon. Public Art Commission as part of the Archivist Project. Environmental Arts Festival Scotland. 2013 – Shortlisted for Public Art Commission in the London Docklands. 2012 – Sub species cellulae. Public Art Commission. Centre for Regenerative Medicine SCRM, Little France. 2011 – Shortlisted for Sir Patrick Geddes Memorial. Public Art Commission for the Royal Mile, Edinburgh. 2011 – The Impermanence of Scattered Leaves. Private Art Commission. Glendoick Estate, Perthshire. 2010 – Invited Artist. Public Art Commission for five parks in new housing development in Midlothian. 2010 – Tumble. Private Art Commission, Southside Edinburgh. 2008 – The Vitis Mound, Catalpa Group and Willow Line for a private Sculpture Park in Suffolk, England. 2009 – Leaf Cloud. Public Art Commission for Macmillan Palliative Care Unit, Royal Infirmary Perth. 2008 – The Photinia Grove. Public Art Commission for Kingdom Housing in Kelty, Fife. 2008 – Shortlisted for a courtyard sculpture at Great Ormond Street Hospital London. 2007 – The Leith Regatta. Biodiversity Public Art Commission in collaboration with Emma Herman-Smith. Work in private collections in Scotland, England, Wales, Germany, France, Japan, Sweden and Australia. 2012 – Invited Artist Award. VAS Annual Show. Royal Scottish Academy Edinburgh. 2010 – Award of Merit for Sculpture Exhibition. RHS Chelsea Flower Show. 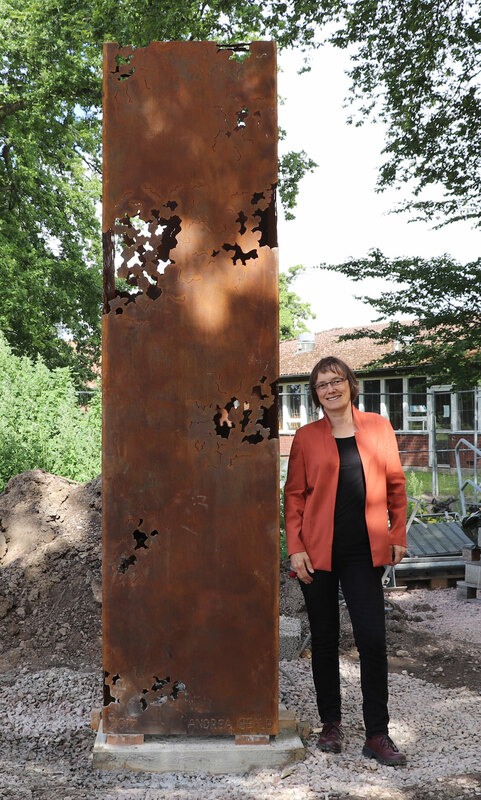 2009 – The Ottillie Helen Wallace Prize for Sculpture. Royal Scottish Academy. 2007 – The Hope Scott Trust Grant. 2007 – Hosta Vista Garden. Gold Medal Award from The Royal Caledonian Society. 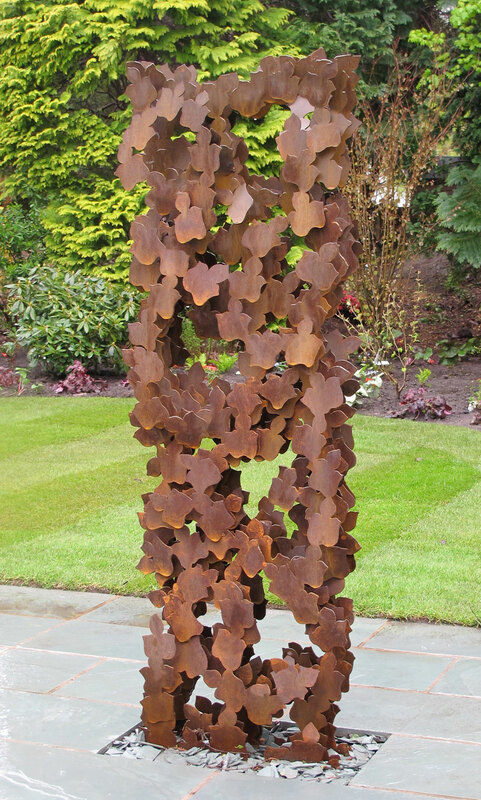 2006 – Windings Garden.Gold Medal Award from The Royal Caledonian Society. 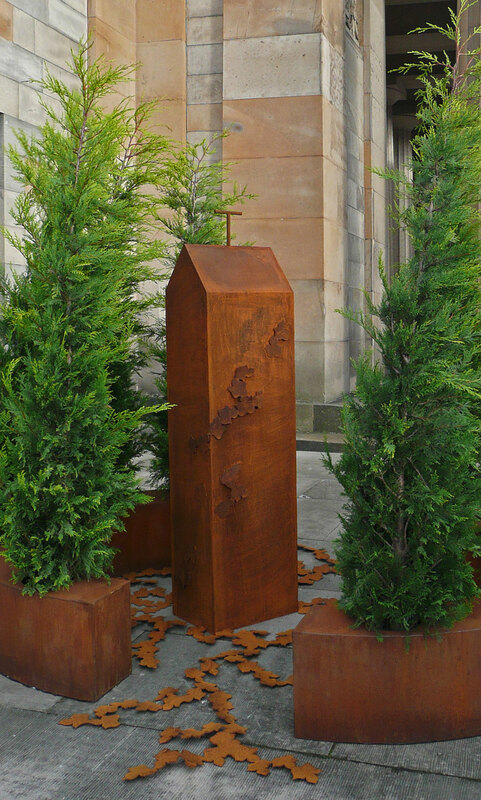 2004 – Oxidised Garden. Silver-Guilt Award Award from The Royal Caledonian Society. 1994 – Artist Award from the Federal State of Lower Saxony Ministry of Arts. 1993 – Visual Arts Grant from Federal State of Lower Saxony Ministry for Women, Germany. 2017 – Exhibitions with The Scottish Gallery; Lemon Street Gallery at Withiel; Kilmorack Gallery; Hexagon Gallery London. 2006-17 – Festival Exhibition at The Scottish Gallery, Edinburgh. 2015-18 – Withiel House Park exhibition. Lemon Street Gallery, Cornwall. 2015 – ‘Level the Field’ sculpture installation. SSA Annual Exhibition. 2015 – ‘Reef’ Installation. Caol Ruadh Scottish Sculpture Park, Argyll. 2014 – Visionary Landscape. Botanic Garden Leicester. 2014 – Summer Exhibition at Mellerstain House. 2014 – The Stone Wall Gallery, Scottish Borders. 2014 – The Green Gallery, Stirlingshire. 2014 – Art in the Garden. Hopetoun Gardens. South Queesferry. 2013 – ASCUS Art/Science exhibition. International Edinburgh Science Festival at the City Art Centre. 2013 – Fabric of the Land. Art/Science Exhibition. University of Aberdeen and Our Dynamic Earth Edinburgh. 2013 – Environmental Arts Festival Dumfries and Galloway. 2013 – Surface – Sculpture Exhibition at Burghley House, Lincolnshire. 2013 – Caol Ruadh Scottish Sculpture Park, Argyll. 2012 – ‘Feral Landscapes’ at Edinburgh Printmakers. 2012 – Caol Ruadh Scottish Sculpture Park, Argyll. 2012 – Postcards to Japan. Iwate Museum of Art, Morioka and Fukushima Museum of Art Japan. 2017 – Aquarell Happening. Art/Walking residency in Tux, Austria. 2016-17 – Energised Landscape. 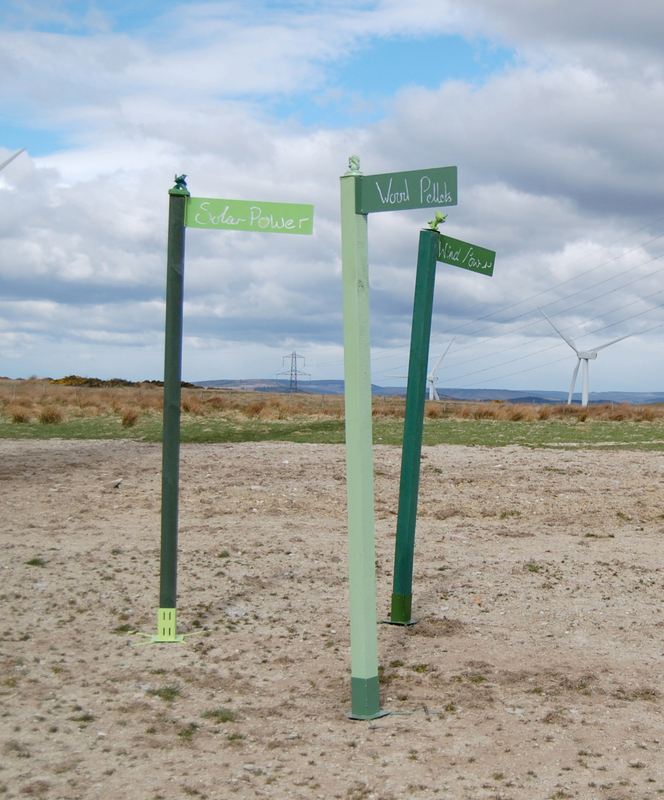 Artist residency and social engaged project with Deveron Projects, Huntly. 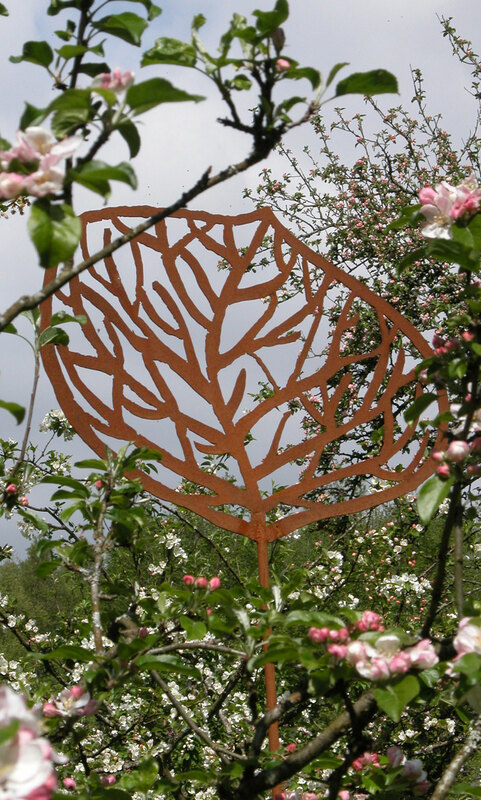 2015 – Master classes for Laser Cutting, Digital Embroidery and Vectoring/Digital Imaging. 2015 – FANK. Public engagement, public art commission, residency and print project. Comar, Isle of Mull. 2014 – Balfour’s Botany. Public engagement, art and research project at Pilrig Park, Edinburgh. Grow Wild UK. 2013 – Community bulb planting project for the urban landscape at the new Edinburgh Sculpture Centre. 2013 – Drawing Residency at Dumfries House Trust. Duplex Studio supported by The Prince’s Drawing School. 2012-ongoing – Trustee on the Board of Directors, Edinburgh Printmakers. 2011 – Polarcap Art/Ecolab. Artist/Scientist collaborations revolving around the influence of John Muir. 2010-11 – Artist Mentor for students from Edinburgh College of Art, Sculpture Department. 2010 – Arts/ Scienes Research. British Geological Survey. Mrs S A L Wild. 2010 – International Artist Residency. Sep-Nov. Vancouver Arts Centre in Albany, Western Australia. 2009-14 – Members Representative on the Board of Directors at the Edinburgh Sculpture Workshop. 2009 – Forms of Narrative. PVAF Artist Workshop. 2009 – Guest Artist. Micro Residency in Studio at private Sculpture Park in Suffolk. 2008 – 3Islands Workshop. International Artist Residency on Hoy, Orkney Islands. The Triangle Arts Trust in collaboration with the Pier Arts Centre. 2008 – Master Classes Mould Making, Bronze and Iron Casting. Edinburgh Sculpture Workshop and ECA. 2008 – Royal Academy London Foundation Course. Worshipful Company of Founders. 2006 – Fluechtig. International Artist Residency and Exhibition at KIK in Hanover, Germany. 2003 – Frontiere Invisible. International Artist Residency and Exhibition in Montpellier, France. 1996 – Baustelle. International Artist Symposium, Hanover. 1991 – 12 Month Artist Residency. Kuenstlerhaus Bethanien, Berlin. Photos of sculptures in ‘Homes and Interior’ – October 2014. Environmental Artist Feature in ‘Garden. Life. Love. ‘- International Magazine. First Edition – Spring 2013.